A staple for your Big Game Sunday spread is a delicious dip! In case you need some inspiration, we have rounded up a few of our favorite, chef-approved recipes for you to try at home. 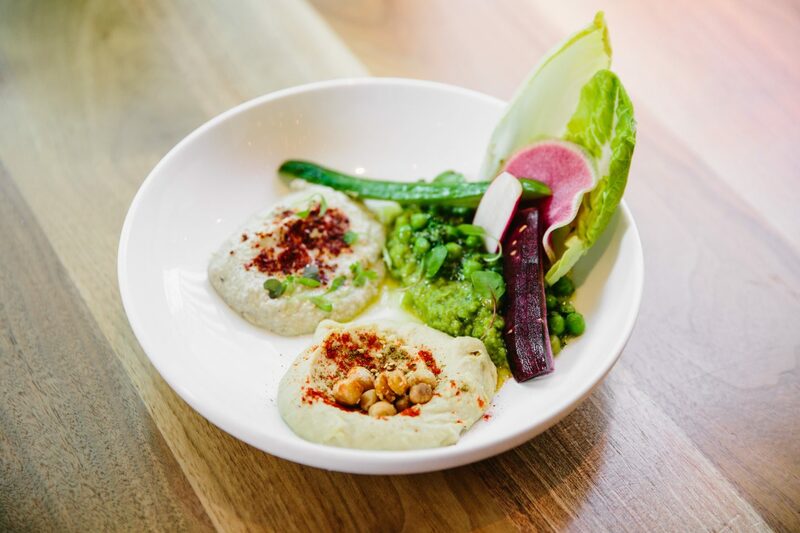 From a traditional guacamole, a sunflower romesco dip served alongside pita chips, to a warm, gooey kale and artichoke fondue, we hope you’ll try these at home. 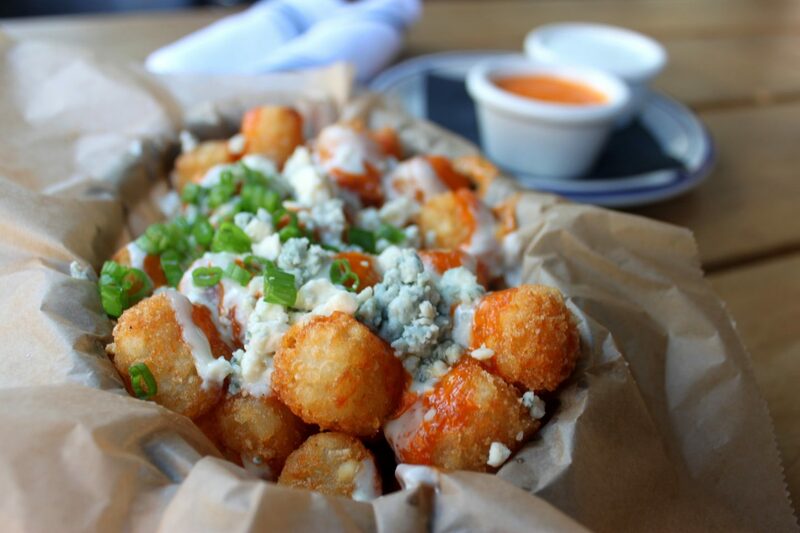 Bub City’s Blue Cheese Dip, served on top of Tots, don’t forget to add the buffalo sauce. 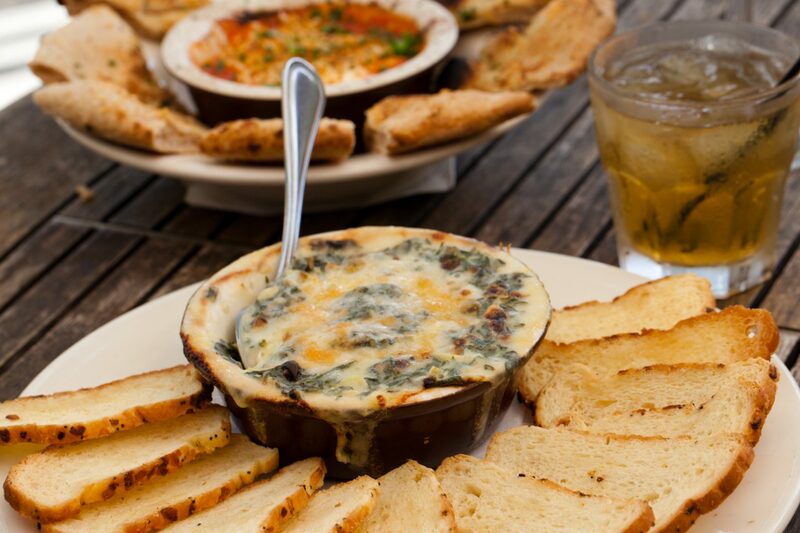 For the full Blue Cheese Dip recipe, click here. 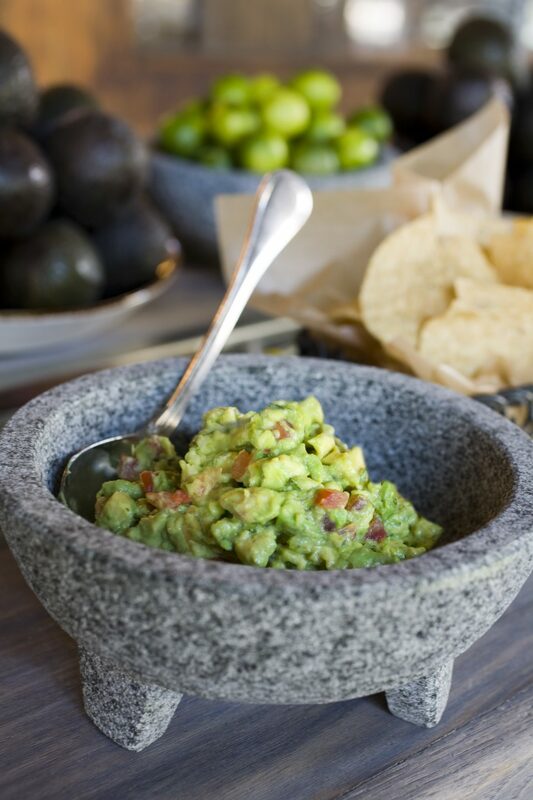 Tableside Guacamole inspired by El Segundo Sol – For the full Tableside Guacamole recipe, click here. Sunflower Romesco inspired by Stella Barra – For the full Sunflower Romesco dip recipe, click here. Wildfire’s Kale and Artichoke Fondue – For the full Kale and Artichoke recipe, click here. To download the printable version of this recipe, click here. 1.In a stand mixer, combine the blue cheese and sour cream and mix to combine. 2.Add in the mayonnaise to combine, then mix in the buttermilk. 3.Add in the remaining ingredients and mix until smooth. 4.Fold in remaining blue cheese crumbles. 5.Serve blue cheese dip drizzled on or alongside tater tots, chicken wings or waffle fries with a side of buffalo sauce. Serves 2-3 – To download the printable version of this recipe, click here. 1.In a clean bowl, add the serrano pepper, onion, garlic, salt, and lime juice. 2.Using a spoon, mash all of these ingredients together and allow to macerate. 3.Using a serrated knife, slice the avocado in half and remove the pit. Slice the avocado in the peel into large chunks. Scoop the avocado out of the peel and add to the bowl. 4.Stir everything together and mash the ingredients together for 20 seconds or so, it should be fairly chunky. 5. Finish by adding tomatoes, cilantro, and oranges if desired. Serves 4-5 – To download the printable version of this recipe, click here. 2.Put everything but the sunflower seeds and salt in a deep roasting pan and cover with foil. 4.Transfer the roasted hers, vegetables, and liquid to a large mixing bowl. 5.Add salt and sunflower seeds and blend using immersion stick blender until it turns to a smooth paste. Serves 8-10 – To download the printable version of this recipe, click here. 1.In a large sauce pot, bring water and salt to a boil. Add kale and blanch for 30 seconds. Drain in colander and drop kale in ice water to cool completely for 3-4 minutes. 2.Drain kale again in a colander and squeeze excess water out of kale and rough chop. Set aside. 3.In a medium saucepot, melt butter; add onion and garlic and sauté over medium-high heat for 3-4 minutes. 4.Turn down the heat on pot slightly and add salt, then flour and constantly stir for 3-4 minutes more. 5.Whisk in milk and cook for another 3-4 minutes until thickened. 6.Then add all remaining ingredients and cook for another 2 minutes. 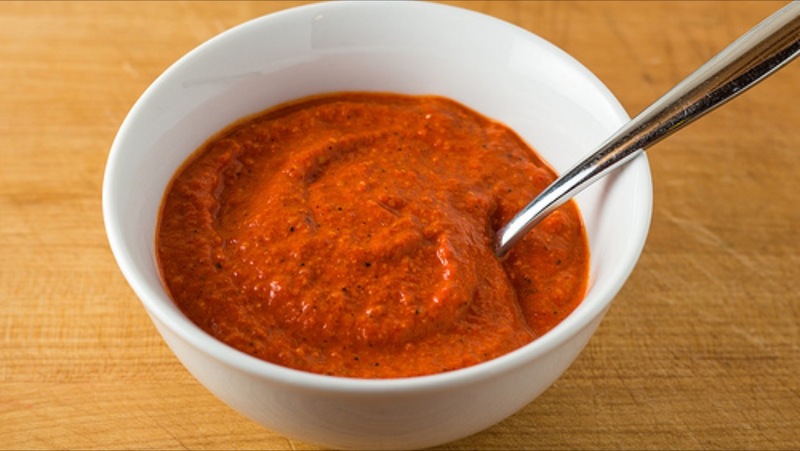 7.Remove from heat, transfer to a small serving bowl, and cool down mixture as quickly as possible. 8.Pre-heat oven to 400 degrees. 9.Transfer fondue mixture into a 2-quart ovenproof casserole dish. 10.Place in hot oven and bake for 15 minutes. 11.Take out and top with Asiago cheese and return to oven for 5-7 more minutes, or until bubbling. 12.Serve with chips or veggies of your choice for dipping and enjoy!